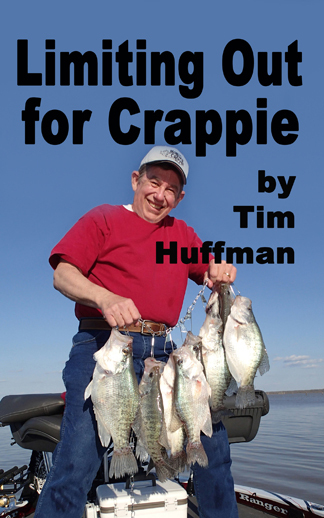 Guntersville is known for it’s beautiful, black crappie, as seen here displayed by the author. 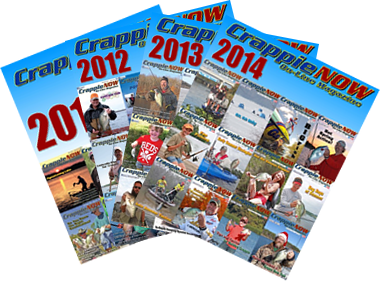 When we hear about destination crappie lakes, it tends to be the fertile Mississippi lakes or some Texas reservoirs. What we don’t hear is the Tennessee River system. 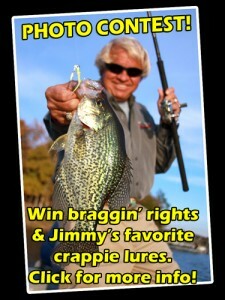 However, it has some of the best crappie fishing in the southeast and rivals the so called top five lakes every day. The best of the Tennessee River lakes is Guntersville Lake in Alabama. From the dam at Nickajack Lake to the dam at Guntersville is 75 miles of pristine lowland reservoir. It happens to be Alabama’s largest lake with 69,000 acres of water, hundreds of bays, creeks and rivers. The average depth is 15 to 17 feet with drops to 60 feet in the main river channel. The lake was created as a part of the new deal project in 1939. Prior to that, the river was too shallow for any navigable traffic. 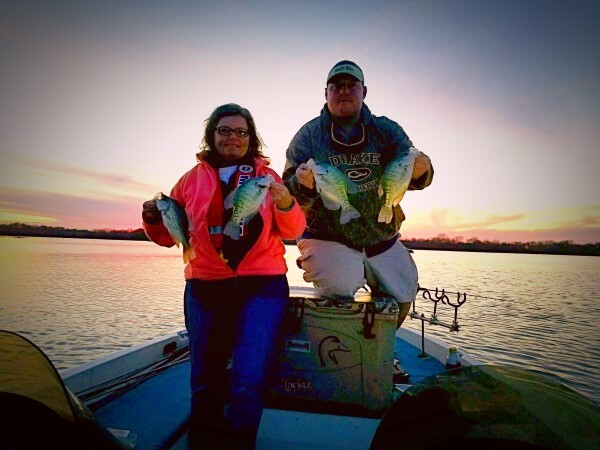 As a result, it is a lake that consistently puts out 2 to 2.5-pound crappie. 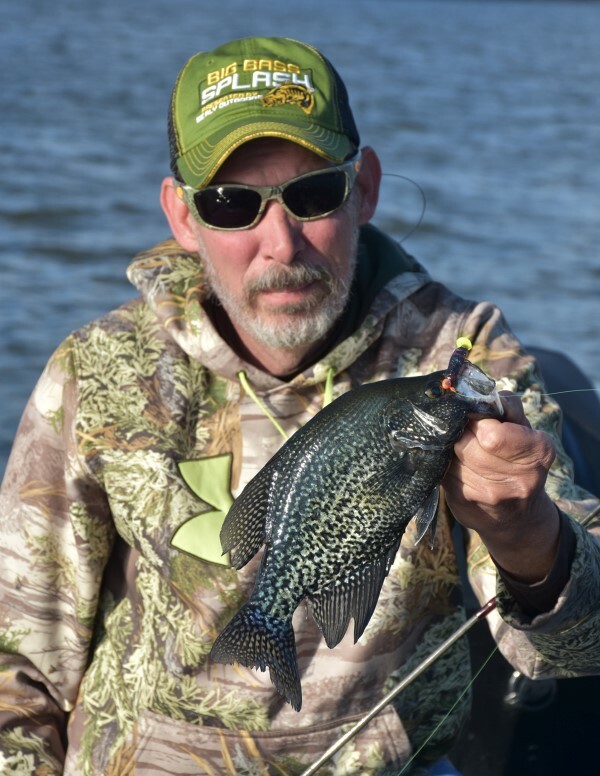 The black crappie are the “jewels” of this area because of the numbers and size. I fished the lake recently with the Frogg Toggs pro team of Kevin McCarley and Stephen Haygood. They are very excited that their home lake is gaining national attention. 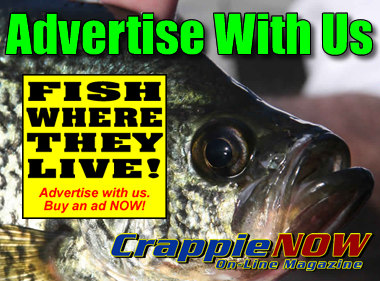 In fact, for 2019, both the American Crappie Trail and Crappie USA are holding national qualifiers at the lake, February and March respectively. When pushed for what the team thought it would take to be competitive on this lake, the response was not surprising. They both agreed that single day weights of 12 to 14 pounds should be the norm for the season, depending upon the current. Haygood says for things to get good you need some current in the main lake. McCarley agreed but added that when the current is nonexistent, they have found the multitude of docks and boat houses to still be productive. I asked them exactly why this lake is so special, and the comments were very intriguing. The lake has so many variations of crappie habitat that any technique can be productive on this lake. McCarley said to be competitive on this reservoir, a fisherman needs to have an arsenal of techniques to use. Since the lake was, at one-point, lowland forest, its full of stump fields and brush. It is a spider rigging dream lake. One of the best areas to catch fish spider rigging is the Browns Creek and South Sauty area. The sides of both channels are full of cover and structure. Perhaps one of the most overlooked areas to run spider rigs is in Raccoon creek. This creek has a small channel adjacent to some expansive stump fields. The best bridges have lots of concrete and rebar sticking up around the pilings. 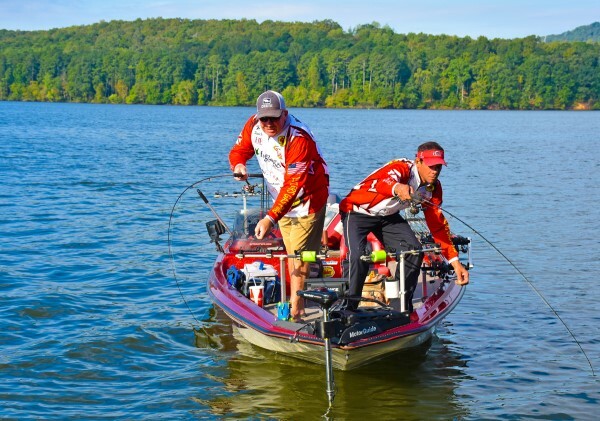 The multitude of creek channels and small rivers flowing into Guntersville make it very appealing to both long line trolling and the pulling of crankbaits. Pulling Cranks is not something you see a lot of anglers doing on this lake, so they feel that it’s an advantage for a pro angler to be able to do this. Of course, as Haygood was speaking, we caught our best fish of the day pulling Jenko crankbaits in the mouth of South Sauty Creek. However, the main river channel has long ledges and shelves that hold lots of structure and of course, lots of crappie. Ledges in 20 to 25 feet of water seem to be the most productive. A word to the wise here, this lake is full of trophy class largemouth and they will smash a crappie crank bait. The lake also has lots of bridges, a type of structure that’s not on every lake. There are hundreds of bridge pilings throughout this lake and nearly all of them hold fish year-round. These bridge pilings are always more productive when they are pulling current or running the generators. All the bridges are not equal, says McCarley. The best bridges have lots of concrete and rebar sticking up around the pilings. These tend to hold more and better fish. Some of the best bridges are in North Sauty creek. We had our best hour while fishing a place that locals and regulars know very well, called the blown-out bridge. It’s what’s left of an old bridge was blown up. The remnants of the old bridge are now at the bottom of the creek channel and have turned into housing for big crappie. Guntersville is also one of the TVA lakes that has allowed some shoreline development. That development has created what is perhaps the souths best lake for dock shooting. McCarley says there are boat docks and boat houses scattered along the shorelines and both fish well, but the docks are better to fish than the houses. Most of the docks have man made brush piles under them and these hold fish year-round. Roseberry Creek seems to be the number one choice for good docks. Lastly is the 949 miles of shoreline that is littered with structure from rip-rap to entire trees. Tournaments have been won on this lake by simply casting jigs into the trees. The creek behind Goose Pond Marina is a great example of these, with trees in the water and scattered small stumps everywhere. We caught a lot of good fish just casting Charlie Brewers Sliders into these treetops. Janice and Josh Stinson ending a great day on the lake. Long lining was their successful tactic. Considering the daunting size of this lake, and the litany of small towns along its shores, it’s tough to find a starting point. The answer is simply Scottsboro Alabama. Scottsboro is a quiet little fishing town in Jackson County. Its proximity to some of the lakes best fishing make it the perfect launch point for a fishing trip. A great place to stay is the cabins at Jackson County Park. If you’re camping, consider Jackson County Park and the Goose Pond Colony. KC’s BBQ and The Docks in Goose Pond Colony are very good spots to eat. A reservation may be required in the busy season.